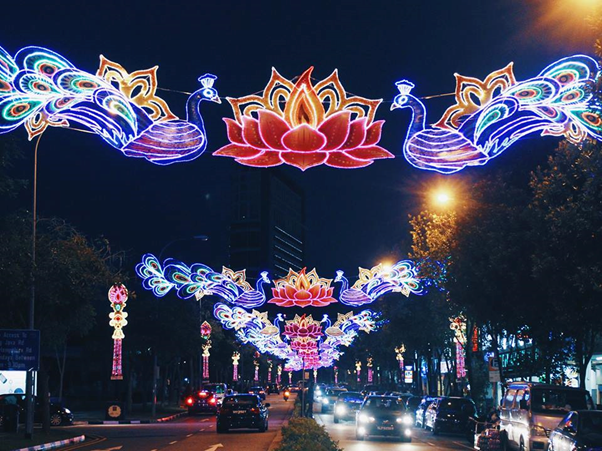 Check Out The Beautiful Diwali Decoration By Land Transport Authority Of Singapore! 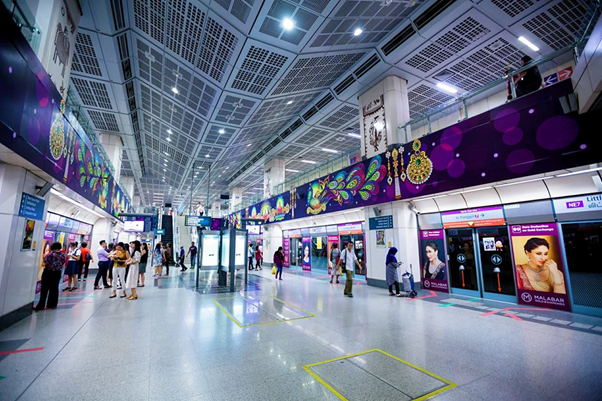 Singapore, though small in size, is one of the most diverse nations on the planet. The country has a heady mixture of various ethnic groups like Chinese, Malay as well as Indian. In fact, Indian origin people make up for almost 10% of the population of the island nation! 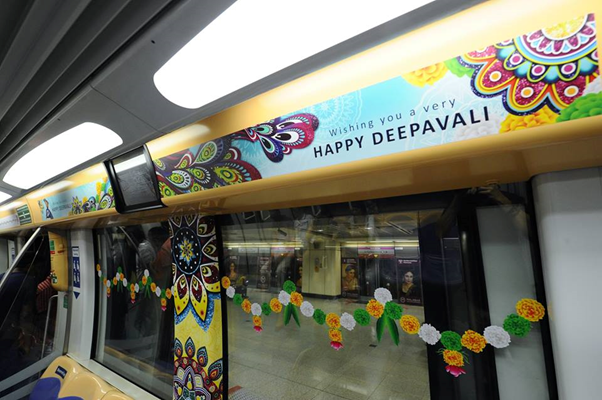 It thus comes as no surprise that the Land Transport Authority (LTA) of the Lion City planned a little treat for the upcoming festival of Deepawali that is considered one of the most auspicious by Indians around the world. 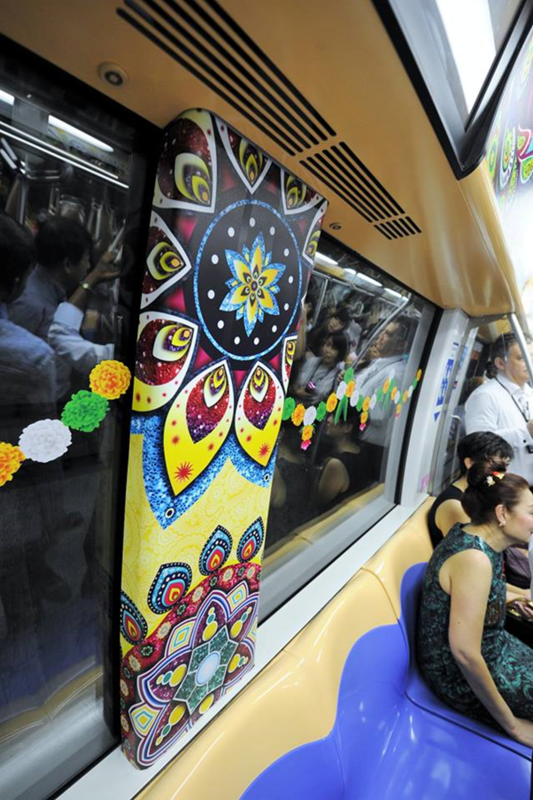 They have decorated a train and a station especially in the theme and colours of Deepwali. 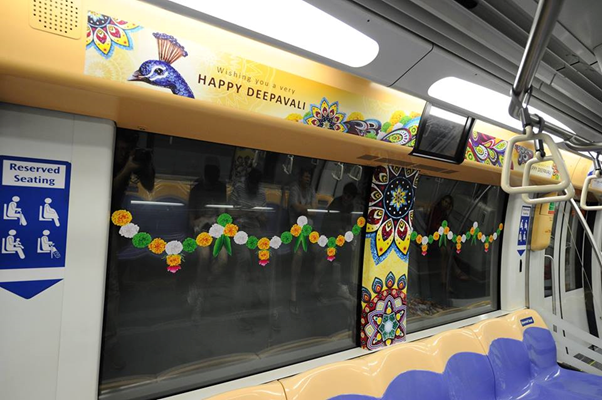 Decked out in this year’s Deepawali theme, the train features elegant elements such as intricate jewelleries, the lotus and peacock – a symbol of good luck, along with motifs depicting fireworks, colourful Rangolis et al. 1. The beautiful view outside a train station. 2. 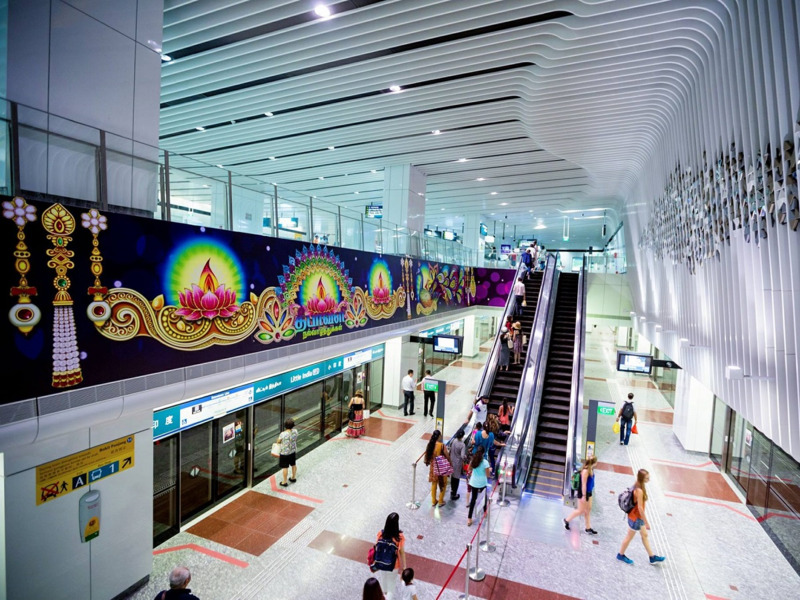 The decked up inside of the station. 3. 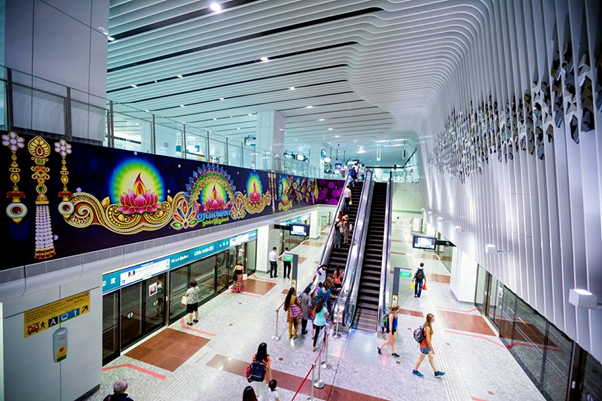 The whole station is adorned with Deepawali motifs. 4. 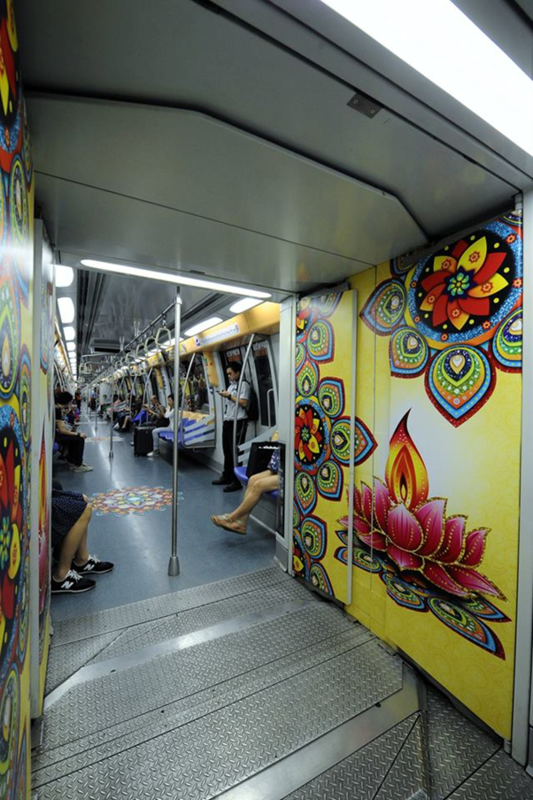 Inside the special train. 5. Right from the windows to the panels, everything has been decked to the tee with these beautiful decorations. 6. Some more decorations inside. 7. This is an innovative and heartfelt gesture. 8. Check out the wall to ceiling motifs. 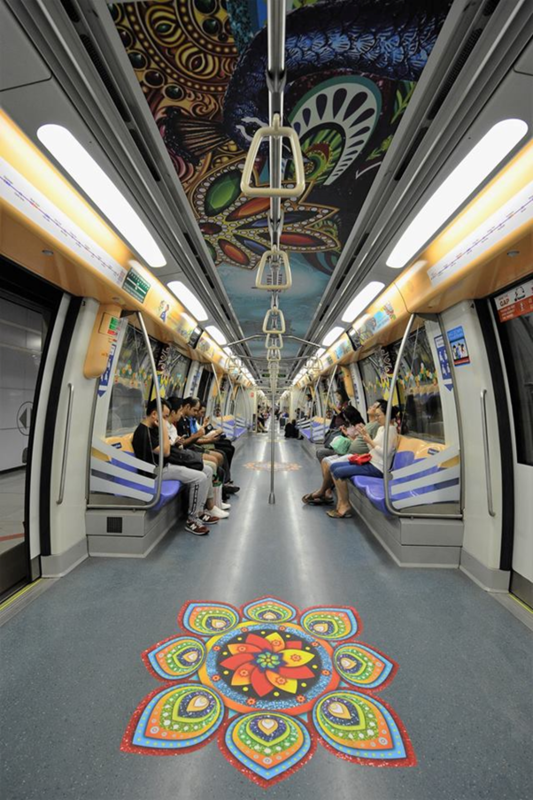 Needless to say, this effort is being appreciated by both Singaporean Indians and others alike. It is indeed touching to see such a heart-warming gesture by a Government entity. Kudos to them!